For me, knowing my worth is more than knowing what I deserve in a romantic partner or in friendships. It's also knowing that I am worthy of fashion and of dressing the body I am in NOW, not twenty pounds from now. Life can end at any second so I am trying to live out each minute by having the most magical love affair with myself. I will admit, though... The one thing that has bothered me for years is how I can't really shop with my friends in the same store. 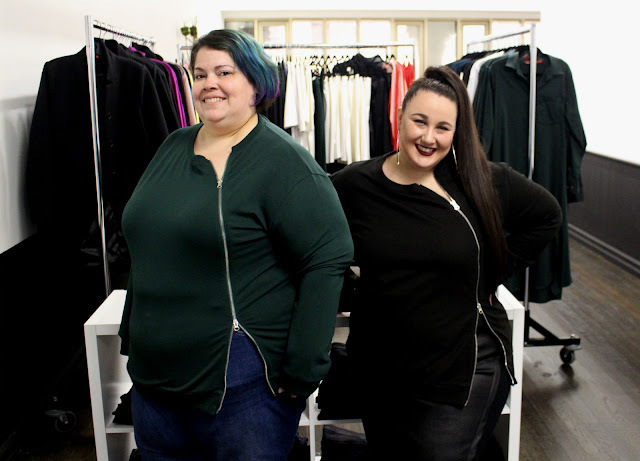 With many of the brands that I gravitate towards when it comes to style and aesthetic, they usually stop at a size 3X or 24. And sometimes that's a junior plus 3X. 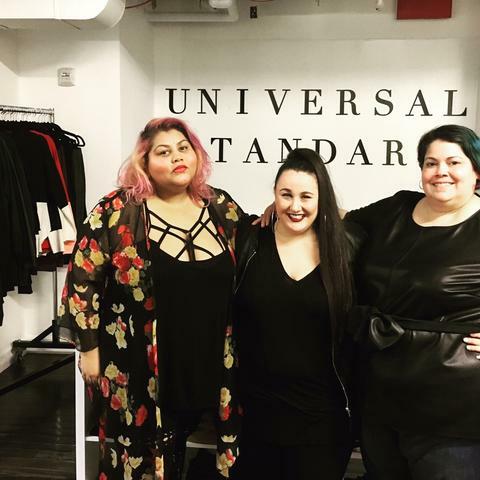 Recently, Universal Standard gave me the gift of being able to shop with my friends and feel "normal". And it was a day I will never forget. One rainy day in NYC, my girl Alysse of the blog Ready to Stare was in town and asked me if I wanted to tag along with her to Universal Standard's showroom, where she was picking up a few pieces. 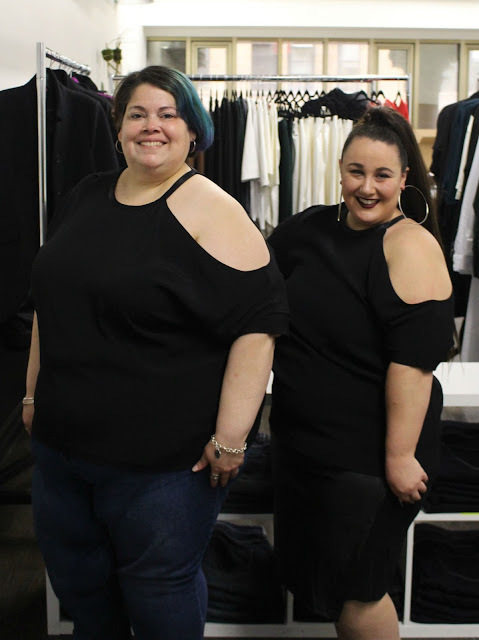 When I think of quality fashion that fits my style while offering me new style options to try to get me out of my comfort zone, I think of Universal Standard. So of course, I said YES! I love Universal Standard's minimalist vibe - their pieces are so chic and seasonless. I have been a big fan of theirs since the beginning. Also, for them to offer up to size 28 is MAJOR because there are not many luxury plus fashion brands (or many brands period) who offer fashion on this level in MY size. You can easily make an appointment online to visit and shop the showroom and that time is yours to go fashion crazy and try as many styles as you want. The feeling I felt while I was there was pure bliss. 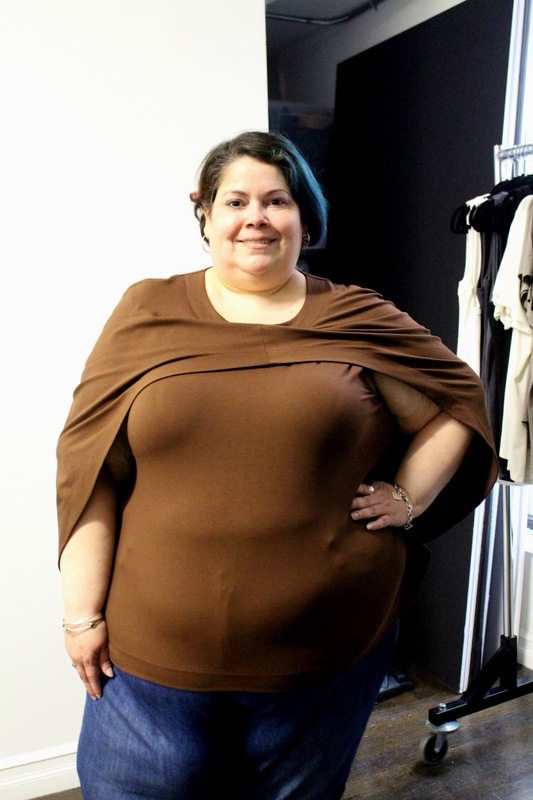 We all tried on the same pieces, modeling in front of the full length mirror and admiring each other's looks. Our girl Ushshi came by and tried on some pieces too. Best part of it all? We were all laughing and having a great time, while offering compliments to each other. It really felt like a sisterhood and made my heart smile. For me, this was more than a shopping trip. It was a life changing experience. I have been on this journey to finding my tribe and this day helped me see that sometimes you find your "people" in the most unexpected places. 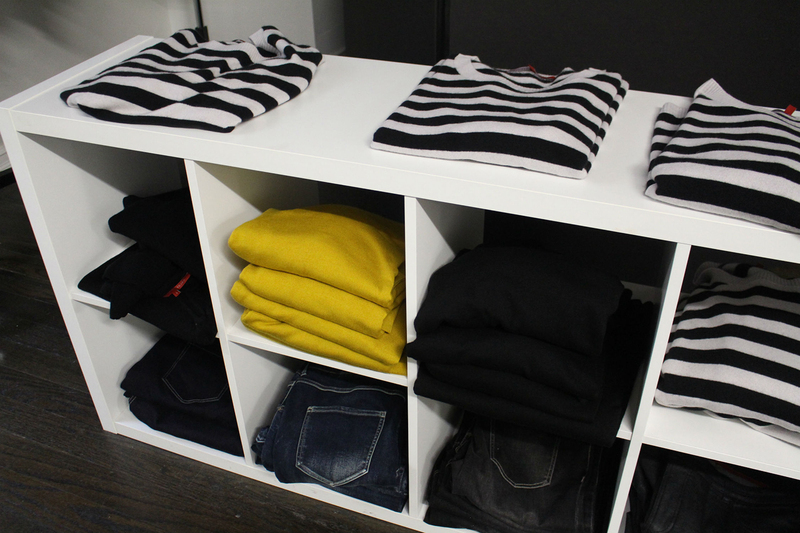 Next time Alysse is in New York, we are already planning our next trip to the Universal Standard showroom. 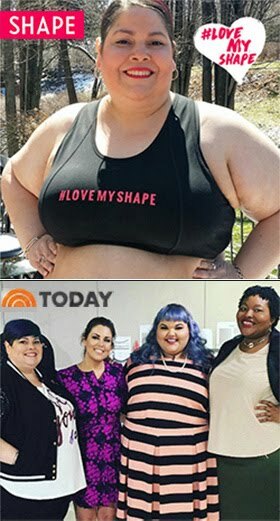 The entire US team is simply wonderful and they truly want plus women to have the same fashion that our thinner sisters have access to. 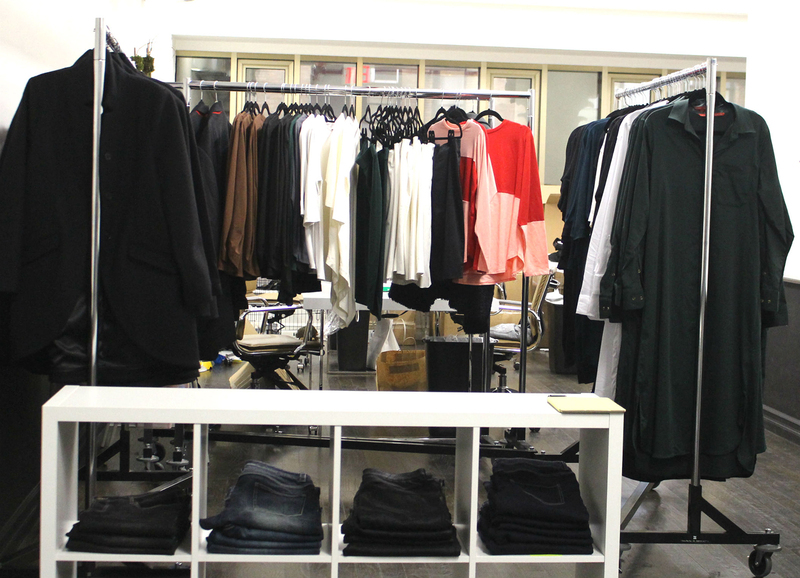 This weekend, if you are in the NYC area, you should definitely check out Universal Standard. 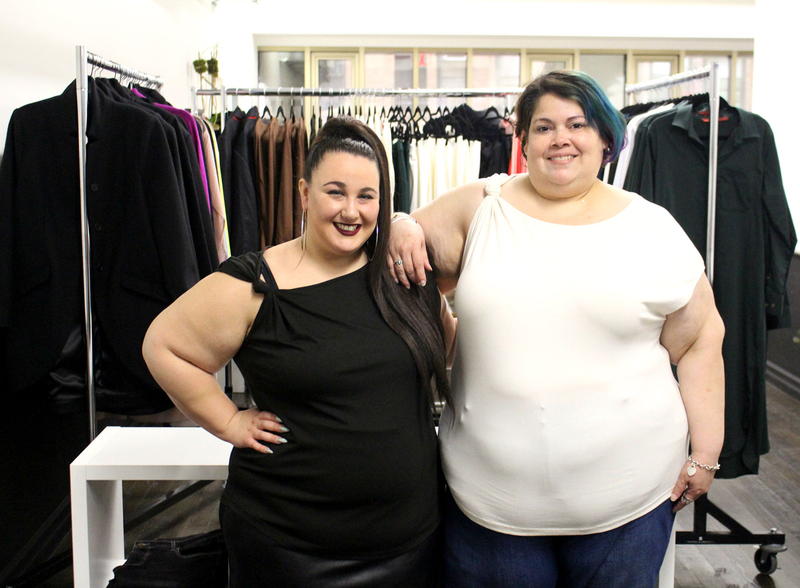 They are having a Sip & Shop event at their showroom where you can get a first look at their Spring 2017 collection and hang with plus size fashion blogger Kelly Augustine. 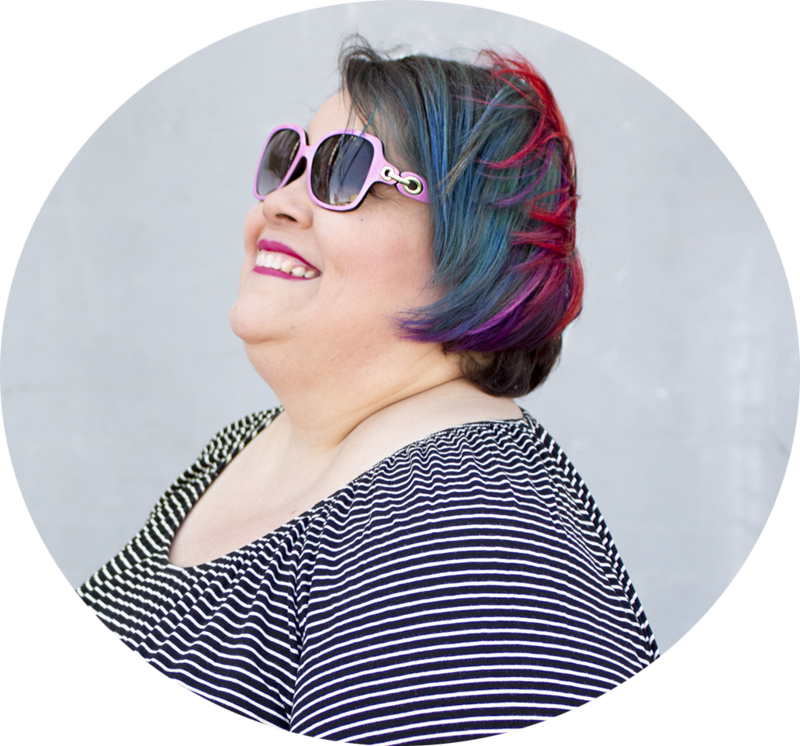 Thank you Universal Standard for giving me that moment of normalcy and fabulousness in my life. I will be back! Click here to read Alysse's blog post on this magical day and us being able to shop together in the same place. Beautiful post Marcy! The fuchsia dress is my personal fav <3 You look STUNNINGGGGG!!! Werk it girl. . you look Fantastic in this Fuschia dress.